According to an analysis report of District Information System for Education, between 2010-11 and 2015-16, there was a mass exit of students from government schools to private schools. This was estimated to be 1.75 crore new students leading to approximately 1.3 crore fewer students enrolled in government schools. Are you surprised to know this? The low income and middle income group yearns for the same thing- a deep desire for better education and exposure to state-of-the-art facilities for their children. No wonder, their focus has shifted from government run to privately run institutions; and all this at the cost of many parents paying through their teeth. While the debatable fee hikes all over private schools in India has hit monthly budgets and saving plans for many parents, the latter continue to opt for private schools. According to a survey conducted by the Associated Chambers of Commerce of India in 2015, in the last 10 years, the annual private school fees in metro cities has reportedly more than doubled. A private school is very different from a government of public school. For one, it is solely financed by a private party under a trust. The latter are either under complete government jurisdiction or receive grants from a state government. Private schools solely function under the administration of the private trust, unlike the latter that could be run party by a state government and partly by individuals that has established the school. While publics school stretch upto secondary level of education, private schools may chose to stop at a primary level. They need to derive specific clearances and permissions to establish a secondary and senior secondary level. Also, private schools will be usually situated in metro cities and or in close vicinity. The quality of education received by the children in private schools is better than the public schools. However, with the recent number of senior secondary level of students from public and government schools fairing extremely well in comparison to those in private schools (in State and Central Board examinations), this demarcation does not hold good anymore. Even then, a preference for private school education and the differences in learning outcomes of private and government schools actually varies between states. For example, Bihar and Kerala favors public schools over private schools unlike Delhi. According to a March 2017 research paper by Geeta Gandhi Kingdon, Professor, Education and International Development at the Institute of Education (London), the average enrollment in government schools; where teachers on average are paid salaries four times those in China; declined from 122 to 108 students per school over five years, while it rose from 202 to 208 in private schools. The biggest drawback can be attributed to lack of resources and facilities for learning in government or public schools. A study reveals that 56 percent parents have attributed ‘better learning environment’ as the major reason for opting for private over public or government schools. Unlike them, private schools are heavily funded and have huge coffers. 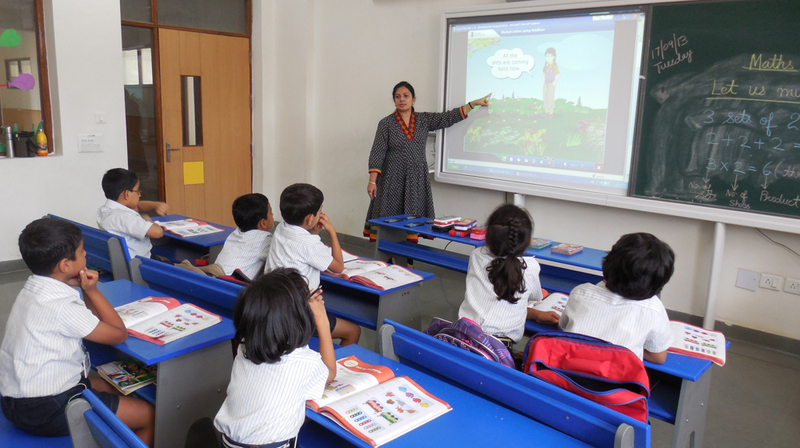 This gives them the advantage of exposing children to state-of-the-art learning methodologies, equipment and techniques. Most of the well done playgrounds and other personality development programmes in place. Teacher training is given priority. Additionally, such schools also follow a very strict code. Due to single line of control, the maintenance and control of staff and faculty is centered. Thus, decision making becomes easier and quicker. However, public schools, suffer from lose ends as each decision and directive has to wait for a nod from the state government. International schools are now mantra for acquiring ‘global’ styled education. From different and open modes of examination to combination of subjects to smart learner programmes, private schools in India are slowly adopting the ‘international’ label to suit the requirements of the urban Indian and expatriate that is visiting India with family for business. Private schooling has some drawbacks. For one, children have to perform under immense performance related pressures. Also, there is a desire to excel in extra-curricular activities. It is seen that children are constantly juggling between academics and outshining each other in extra-curricular or co-scholastic (as it is called) activities. As a result, schooling has become like another rat race to the finish line and the fun of learning and exploration has taken a back seat. Public and government schooling system, on the other hand, is suffering from lack of skilled manpower but continues to create a happy and fun environment of seeking and learning, which are the right of a child. About Us: Stadhawk founded by two young dedicated professionals with vast..
About Us : Moo Cow was started aiming to be the bigest..
Coffee Shop Franchise Opportunities in India – Why BrewBakes? About Us: Over.. Startups Adapting to Green Practices.. Monitoring Early Childhood Care And Education..
Want to Take Your Business Abroad?.. How to Start Your Own Bookstore Business..
A Gastronomical Journey to Indian Culture..
Trends Shaping the Future of Education..
6 Women Foodpreneurs Altering The Industry..
Are Classrooms Becoming Hi-Tech Epicentres?.. Why Should You Open a Milkshake Outlet?.. ​What does the future hold for K12 Education?.. 5 important ways to market your brand..
Up Swinging the Ethnic Wear Business..
How to Build a Brand that Works?.. Why Food is not Enough in Restaurant Biz.. Connecting body, mind and soul through wellness..
How To Build a Burger Business Online.. The Evolution of India’s Mattress Industry..
Top Chefs Celebrate Maharashtrian Flavours.. These Chefs Have Brought Indian Food on Global Pla.. This Restaurant Does 350 Covers Daily..